Westpower provides customized equipment warehousing services designed to preserve and protect rotating equipment requiring short or long-term storage. In order to reduce the potential of significant costs and schedule delays during start-up as well as risk to manufacturers’ warranties, best practices for short-term and long-term storage of rotating equipment should be followed. Our warehousing team provides secure heated facilities along with inventory controls, heavy lifting capabilities, crating services and shipping and receiving controls. Specialized vibration reducing storage options are available for sensitive equipment. Westpower can also develop and implement preventive maintenance programs meeting or exceeding manufacturers’ requirements to ensure that rotating equipment does not degrade over the course of long-term storage. Westpower has expertise in installing and operating oil mist systems also used to support long-term preservation of rotating equipment. Westpower’s team of Millwrights and Engineers can disassemble and assess equipment to determine failure cause and develop repair strategies should equipment not be in full operating condition. Our Repair Centres can carry out necessary repairs prior to returning equipment to the field. 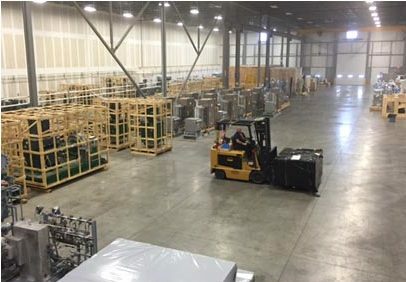 Our Field Service team can assist with equipment removal and preservation in preparation for storage and provide installation support once our customer is ready to return equipment to service.